Ideal for residential, commercial, and institutional construction, INSUL-DECK buildings are not only more comfortable, quieter and super energy efficient, but can also provide safety from hurricane level winds, fire and floods. INSUL-DECK buildings can be designed to withstand the impact of extreme winds, flying debris, fires, and floods. Lightweight, Self-Supporting Joist & Deck Forming System allows fast construction with minimal shoring and no stripping of formwork. Insulated Concrete Floors & Roofs reduce utility bills and HVAC sizes and create a comfortable & healthy indoor environment all year round. 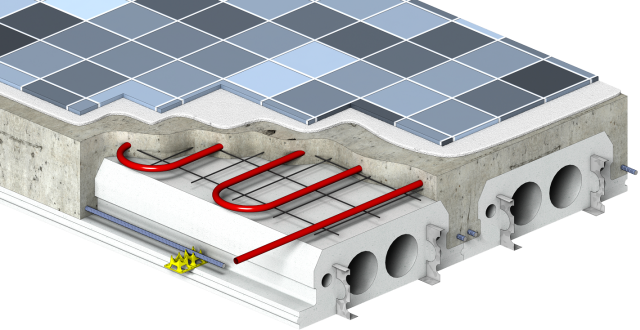 Ideal for Radiant Heating! 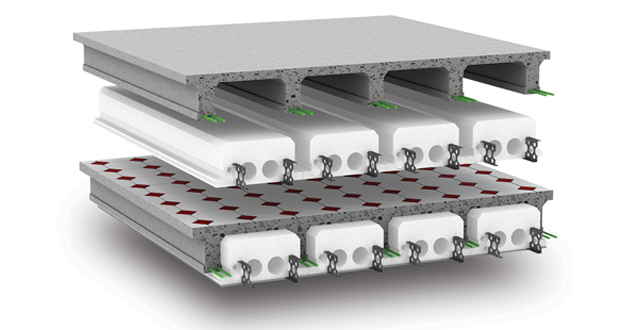 INSUL-DECK’s lighter structure eliminates 30-50% of the mass & shoring. Utility chases and steel furring strips are built-in to speed up construction. R-Values and joist height can vary to meet project requirements. 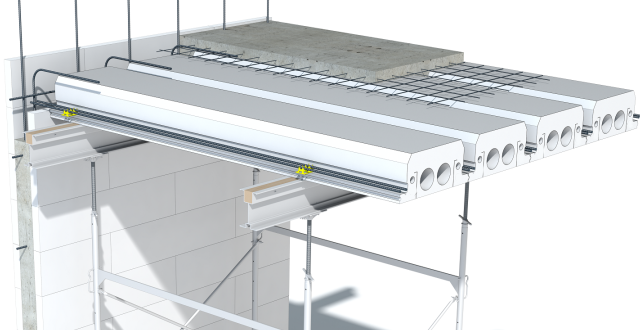 INSUL-DECK allows clear spans up to 33 feet and more with special techniques or low loads. 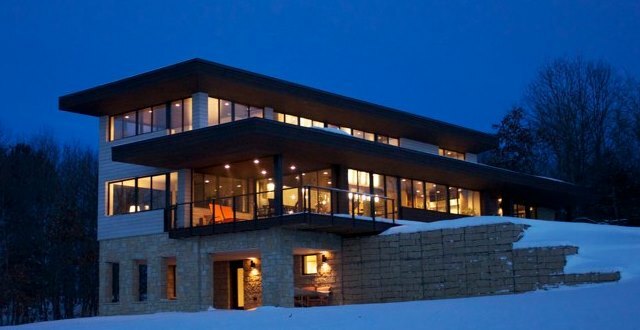 Energy efficient, insulated concrete floors provide comfort and safety for your family or occupants. INSUL-DECK Roofs can be built to withstand the impact of extreme winds, flying debris, and wildfires. 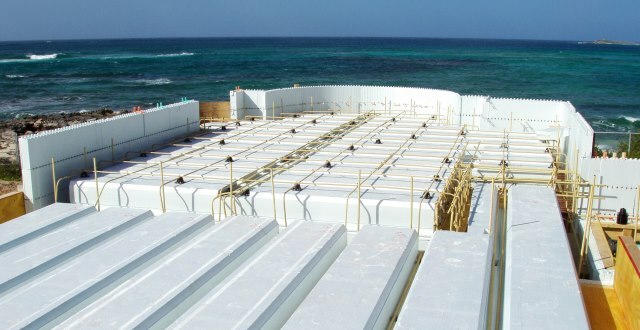 INSUL-DECK is ideal for elevated slab construction to reduce or eliminate future flood damage. 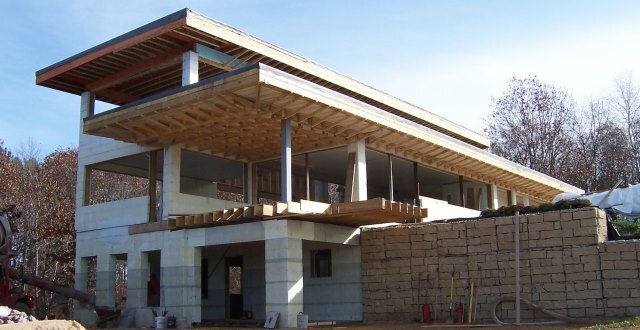 See how concrete is cast in place on INSUL-DECK Insulating Concrete Forms.